Heating and Ventilation Ducting also used for Marquee Ducting. Temperature range -20c to + 90c. Diameters from 120mm to 1500mm, any length up to 20m. 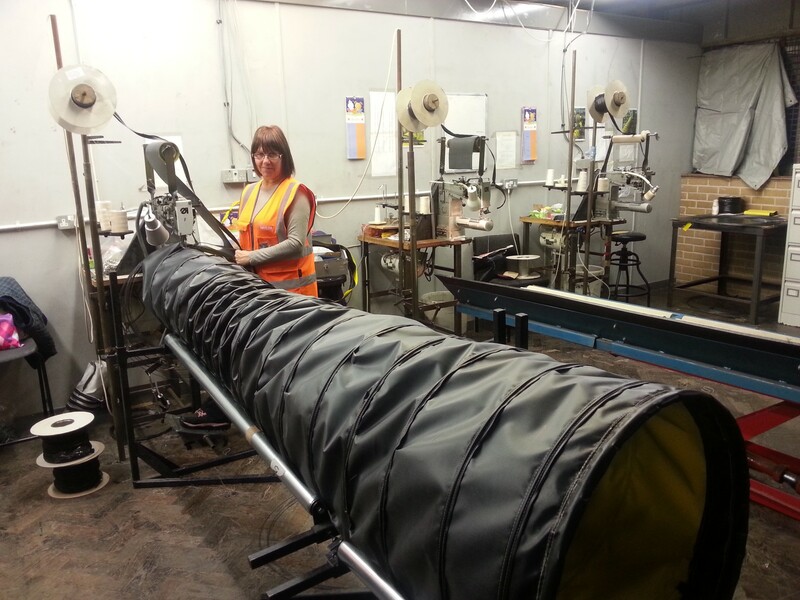 Main uses warm or cool air movement, lightweight and durable flexible ducting. A wide range of end fittings and colours are available. 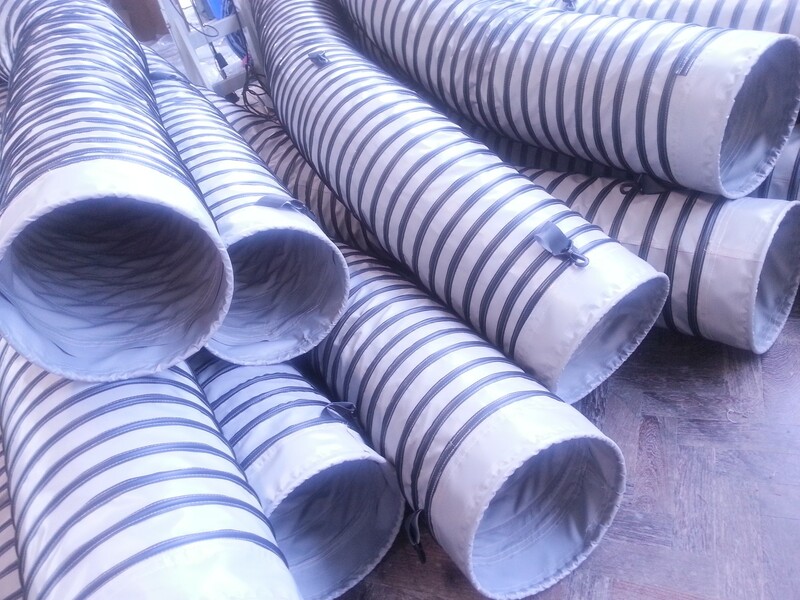 Flexible Hypalon Ducting. 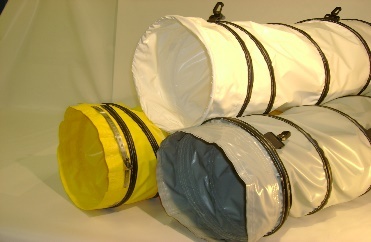 Used for portable heater ducting and high temperature fume extraction and ventilation. Temperature range -50c to + 160c. 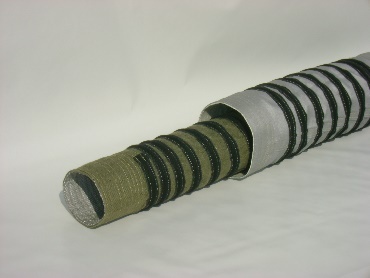 Diameters from 120mm to 1000mm, any required length up to 15m and can be joined to make longer lengths. Main uses are warm air movement, building drying, crop drying, oil mist, fume extraction and heater ducting. Supplied with cuffs, metal bands or rings each end. 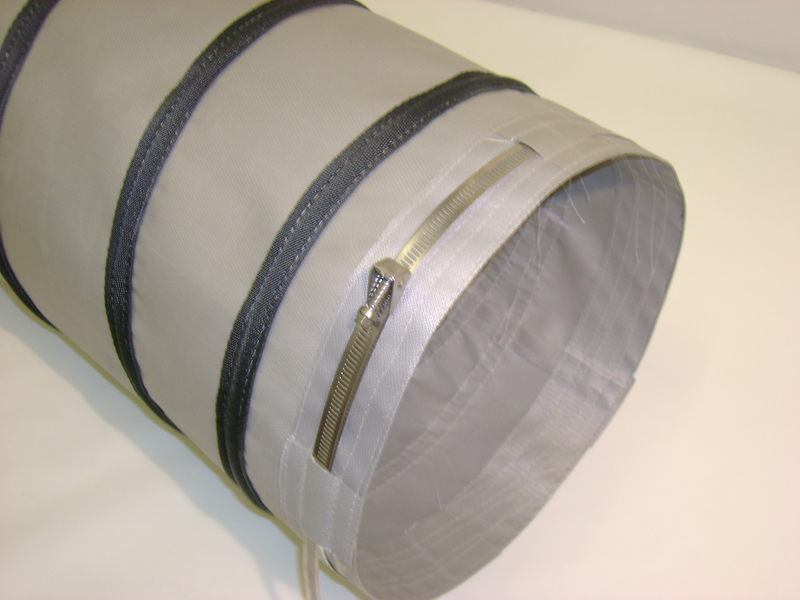 Can be made as insulated duct.